Expungement is the legal term used in Pennsylvania for the court-ordered destruction of criminal records. When a person is arrested or charged with a crime, various records (including criminal complaints, incident reports, fingerprints, photographs, dockets, bills of information, transcripts, and sentence/disposition forms) are created, maintained and shared by many different agencies. Some of these records can be accessed by the public, the press, employers and others. Pennsylvania law provides a process for people to have criminal records destroyed if those records are eligible for expungement. Once expunged, the records will be removed from agency files and public databases. Who has your criminal records? Criminal records are created and maintained by the criminal justice agency that made the arrest, as well as by the Magisterial District Court, the Court of Common Pleas, the Probation Department, the Office of the District Attorney, the Clerk of Courts, the Sheriff’s Department, the prison, and in some cases the Office of the Prothonotary. Local agencies also share criminal records with other state and federal agencies, including the State Police, the Federal Bureau of Investigation, and the Administrative Office of Pennsylvania Courts. Adult criminal records in Pennsylvania are generally open to the public, and criminal dockets can be easily searched by name and other identifiers using the Unified Judicial System’s website. In addition, there are multiple private criminal record search engines which obtain and compile criminal records from public databases. 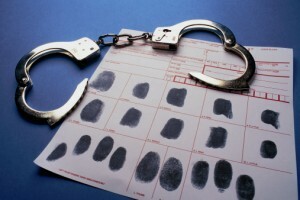 Are your criminal records eligible for expungement? The first step in the expungement process is for the client to request their criminal history from the Pennsylvania State Police. Once the criminal history is obtained, the attorney must draft and file a Petition for Expungement and proposed Order, attach the criminal history as an exhibit, and serve them on the Office of the District Attorney. Next, the attorney must either obtain the District Attorney’s consent (agreement) to the expungement, or attend a hearing and convince a judge that expungement should be ordered. After a judge signs an Order of Expungement, the Order must be served on each agency that may have the criminal records. Finally, the attorney must verify that the agencies complied with the Order and destroyed the criminal records. How long does it take to expunge criminal records? When a client’s criminal records are already eligible for expungement, the expungement process in Pennsylvania typically takes between six months and one year. The length of time it will take depends on the procedures followed in the county where the arrest occurred, as well as on whether the District Attorney consents to the expungement or opposes it. Some counties require that an “Access and Review” criminal history be attached as an exhibit to the Petition for Expungement. The “Access and Review” criminal history must be requested and received by mail and can take as long as 6 months to receive from the State Police. Other counties accept a standard criminal history which can be requested and received online in one day. In counties which accept a standard criminal history, and where the District Attorney consents to the expungement, it may be possible to expunge a criminal record in as little as four months. Why should you get your criminal record expunged? Criminal records can negatively affect your life and your future in several different ways. Many criminal records are available online and can be easily accessed by the public. Employers may rely on criminal records when they make decisions about whether to offer you a job or give you a promotion. If you run your own business, customers, vendors and business partners may rely on crimina l records to make decisions about whether to do business with you. Creditors may rely on criminal records when they make decisions about whether to offer you loans. Schools may rely on criminal records when they make decisions about whether to admit you into an educational program. Landlords may rely on criminal records when they make decisions about whether to rent you an apartment, home or commercial property. Perhaps most importantly, a criminal record can affect your reputation in the community, and cause embarrassment to you and your family. Damien D. Brewster, Esq. has defended hundreds of adult and juvenile clients facing criminal charges in Montgomery, Bucks, Chester, Berks, Delaware, Philadelphia and Lehigh counties, and has successfully expunged adult and juvenile criminal histories throughout southeastern Pennsylvania. If you or someone you know is interested in getting a criminal record expunged, contact Damien at Keenan, Ciccitto and Associates, LLP.